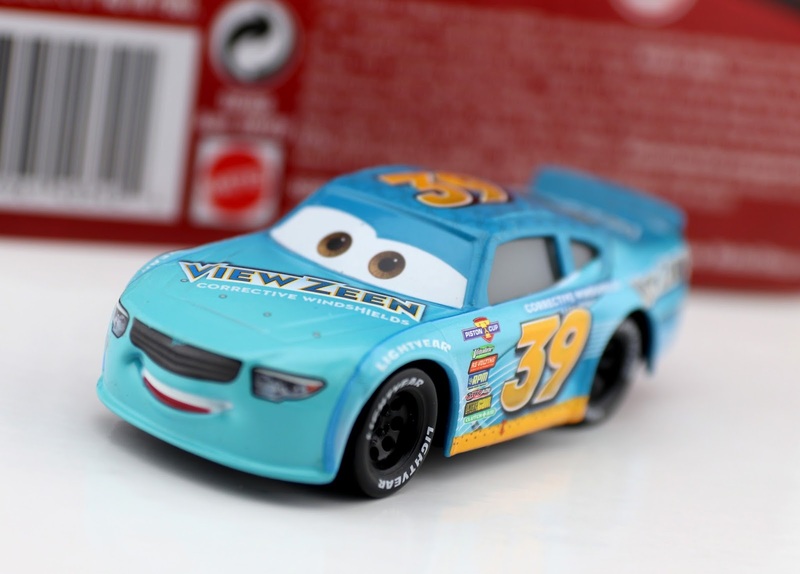 Today I'm coming back to my Disney·Pixar Cars 3 collection to give you a brief look at another Mattel 1:55 scale diecast...Buck Bearingly, or better known by his sponsor View Zeen (No. 39)! He was one of the first Cars 3 characters to be released this year back on May 1st. 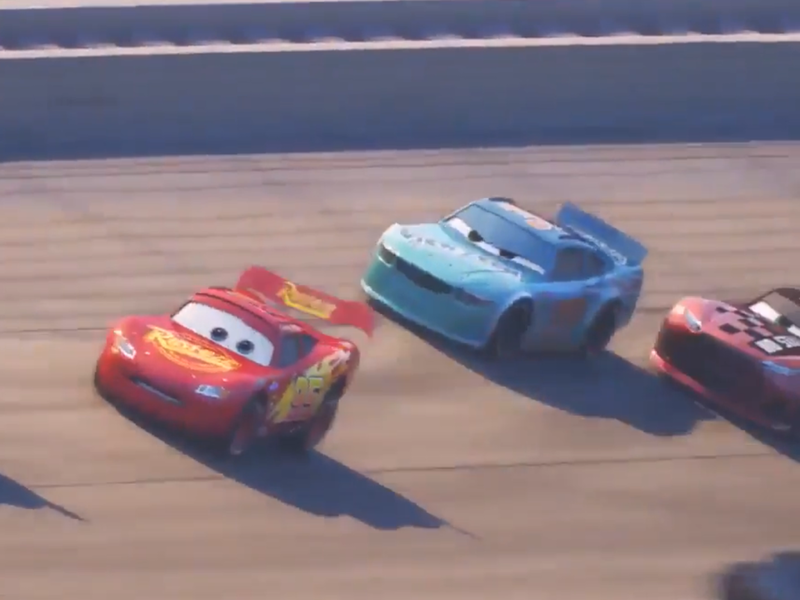 As shown in the screen shot above, Buck Bearingly is a background Piston Cup racer seen at the beginning of the film—only to be replaced by a "next-gen" rookie soon after. Buck is the successor of Ryan Shields, who was the View Zeen racer (with the same number) seen in the original Cars. Their designs are different, but ultimately extremely similar. Currently Buck is only available on a single card like the one I have here, but I'm assuming we'll see him re-released in other multipacks in the future. As of now, he's still pretty easy to spot in stores, so visit your local Target, Walmart or Toys R Us if you're still looking to track this one down! 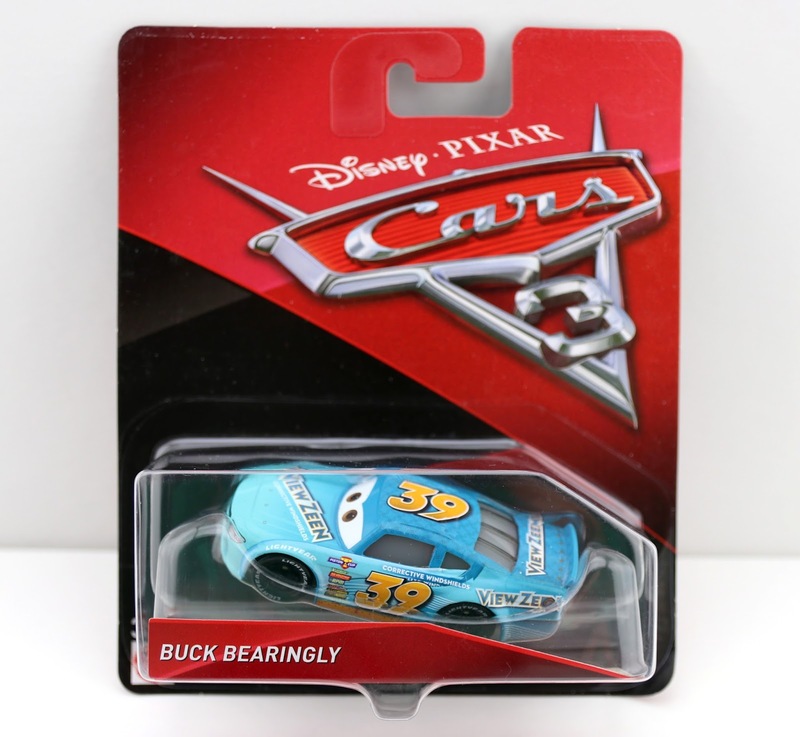 This is a very basic release (not too much to go into here, hence the short review), but he's essential if you're trying to complete your Piston Cup racer collection. If you'd rather just grab him online, be sure to use the direct Amazon link below. Happy hunting!